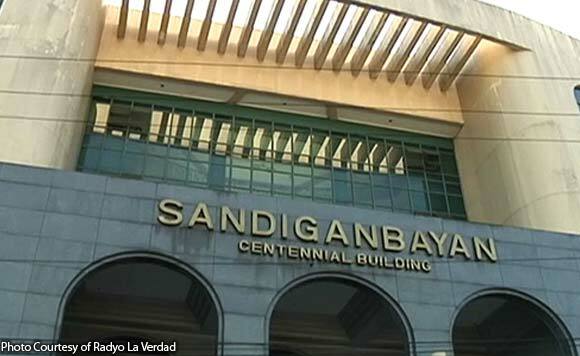 The Sandiganbayan 5h Division has turned down the appeal of convicted former Alfonso Castañeda, Nueva Viscaya mayor Jerry Pasigian to hold a new trial due to newly-discovered evidence. The anti-graft court pointed out that the new evidence he has presented only further implicates him in the case concerning the anomalous 2009 purchase of a 2003 Nissan Patrol worth P1.29 million without undergoing public bidding. “The Sangguniang Bayan Resolution is actually adverse to the cause of the accused, and further bolsters the judgment of conviction against him,” the court ruled. “In sum, the accused’s motion for new trial is denied for failure to meet the requisites for a new trial on the ground of newly discovered evidence,” it stressed. Pasigian claimed that the Sangguniang Bayan resolution is proof that he was allowed to purchase the vehicle. However, the court pointed out this does not justify why he should skip the required public bidding in making the purchase. In its December 2018 decision, the anti-graft court found Pasigian guilty of graft and malversation. With this, Pasigian was sentenced to imprisonment of at least six years and one month for his graft conviction and at least four years and five months for malversation. The court also ordered him to pay a fine of P453,213.19 which represents the depreciated value of the vehicle. Under the charges, Pasigian is accused of giving unwarranted benefit to Gilbert Arellano from whom the vehicle was purchased from without holding a public bidding. Pasigian also registered the vehicle under his name instead of the local government.